Health Group offers a holistic treatment called Combination Treatment. Combination Treatment takes place in a fully equipped physiotherapy clinic and consists of among others physiotherapy, physiological massage, manual therapy, acupuncture, motivational conversation and ergonomic review of your workstation. Our physiotherapists always have a proactive approach and are ready to help you prevent work related injuries. Furthermore, we believe in continuing educating of our physiotherapist so that he/she may maintain the overview of your treatment and take care of what injury you may have. It is also possible to book personal training sessions at Maersk Health Centre. The personel training can be used in different varieties. Among others to adjust your current program, receive new inspiration in your training or start up a progressive training course. A new feature is an advanced body composition analysis. Get to know your muscle mass, body fat percentage, general body composition and were to improve. Inbody is one of the world’s best and most accurate body scanners. As part of a proactive Health Centre, Health Group offers a variety of exercise class with our skilled and well-trained instructors. 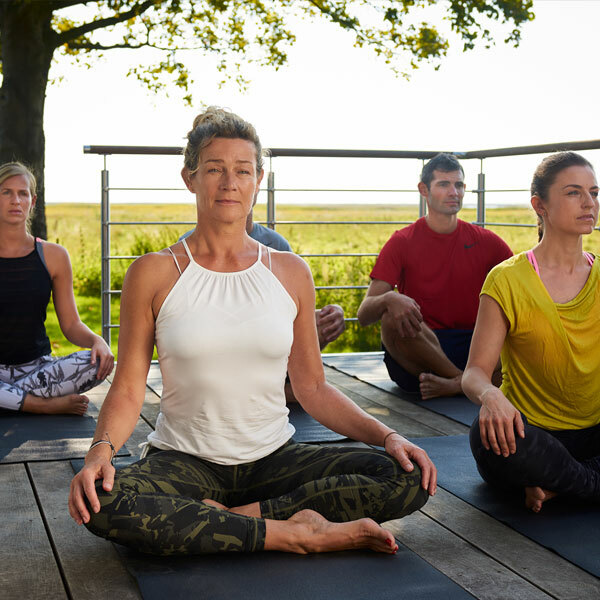 Our classes includes various forms of cardio and strength training along with Yoga, Dance, Functional Training, Boxing and our new Group Cycle Concept. 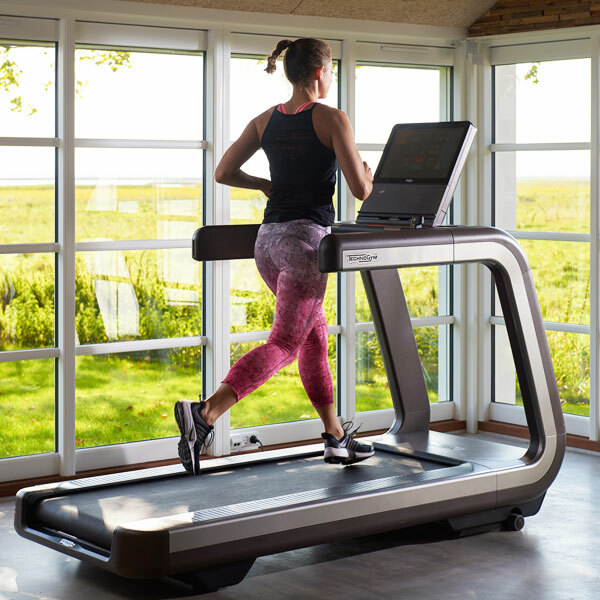 We are very proud to introduce you to the new Technogym Group Cycle™ Connect. 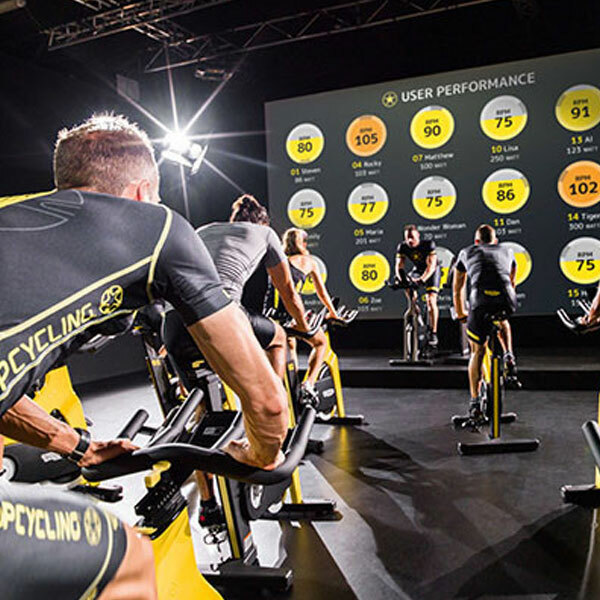 It´s the world’s first and only indoor cycling bike that tracks workout, enabling users to improve their performance through a totally immersive riding experience. It combines unique design with cutting-edge connectivity, awesome feeling and unparalleled ease of use. Along with the new bikes we are going to test a new app with multiple new features; tracking, challenges, booking etc. NB! 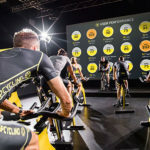 You need the app to book Group Cycle Classes. 3. Open the app and login in using the same email and password as defined in your registration above. 4. Start using your app for booking classes, participate in challenges etc. You can only use Bluetooth Smart and ANT + logo. That means that you can also connect Garmin power watches (bike computers such as Edge). In order to book activities (not group Cycle Classes) in Maersk Health Centre click on the “BOOKING” button and register.